On your quest for a healthier diet, you might be wondering if there are some healthy dessert options out there that won’t totally wreck your progress. While avoiding or limiting sugar on a healthy diet plan is important, a sweet treat from time to time that is also nourishing can go a long way to keep on you track. There are a number of desserts, which when made mindfully at home, can be a lot healthier than their standard counterparts, depending on the ingredients you use. Homemade gelatin dessert is a great example. It’s a gut-nourishing, low-calorie dessert that will satisfy your sweet craving without the food coloring and processed sugar of Jell-O brand gelatin. Gelatin is made by boiling the connective tissue and bones of animals over a long period of time. 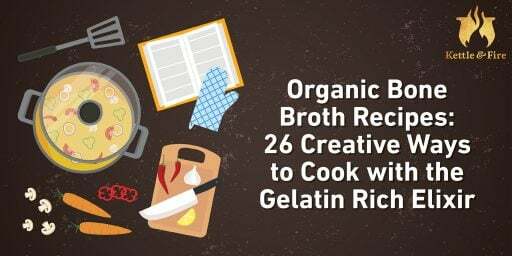 The rich, Jell-O-like end product is liquid when hot (bone broth) and gels into a springy consistency after it’s been refrigerated. Here’s a great recipe for slow-cooker chicken bone broth that outlines the entire process. 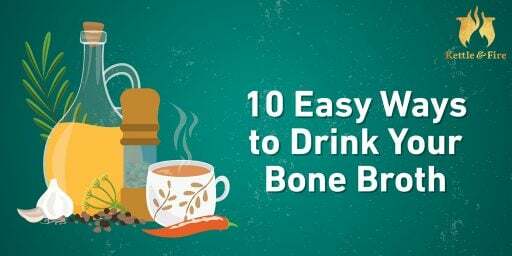 We know that bone broth boasts a host of health benefits, including skin improvements, relief from joint pain, healing a leaky gut, and boosting your immune system, and the gelatin found within it is a big reason why. 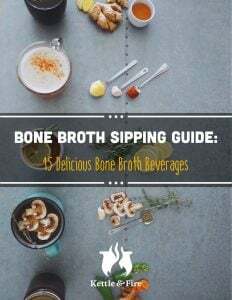 Bone broth is great for sipping or using as a base for soups and sauces, but that doesn’t exactly address the sweet tooth problem. This brings us to homemade Jell-O. As we hinted at before, the ingredients you use for your homemade desserts (whether it’s ice cream, cookies, Jell-O, or something else) will help determine the overall nutrition and health benefits in the end. For this reason, we recommend avoiding the commercial gelatin powder from brands like Knox and opting for grass-fed gelatin. Knox gelatin packets are neither organic nor sourced from grass fed animals. A great alternative is Great Lakes gelatin. Just be careful when you purchase to avoid anything that says “hydrolysate,” as those products will remain liquid in the refrigerator. Look for the Great Lakes brand beef gelatin to avoid getting the wrong thing. If you’re vegan, gelatin won’t work for you, but you could try substituting agar agar for gelatin for a nearly identical texture. How you sweeten your unflavored gelatin is the next question. You want to avoid too much added sugar to keep your dessert somewhat healthy, so choose a natural sugar source like fresh fruit juice, raw honey, or maple syrup. If you’re going for super low sugar, you could try stevia or a sugar alcohol like xylitol or maltitol, although you might not get as firm a set without a real sugar source. Some fresh fruits do better than others in homemade gelatin. Pineapples, kiwi fruit, papaya, figs, and prickly pears all contain an enzyme called protease. This enzyme helps digest proteins, and since gelatin’s structure holds up due to its protein content, these fruits will prevent it from setting properly. If you’re dead set on using these fruits in your homemade gelatin, all but kiwi can be peeled, cubed, and boiled for at least five minutes to neutralize these enzymes. You can also use pasteurized juices from these fruits, which have gone through a heating process as well (1). If you’ve ever followed a Jell-O recipe, you know that there are really only a couple of critical steps, but a healthy homemade version does offer a few more options. For example, if you’d like to add a bit of fiber to your dessert, you can puree some fresh fruit (avoiding those we’ve listed above) to add to your gelatin mixture once it’s simmering on the stove. 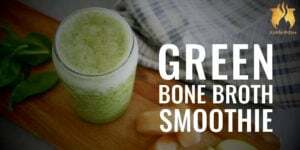 In a small bowl, add powdered gelatin to one cup cold water, stirring to incorporate. Allow to sit for five minutes before moving to the stove. If you plan to blend fruit into your dessert, you can do that while the gelatin is blooming. Add your fresh or frozen fruit to the blender with your lemon juice and blend until the consistency is smooth and evenly pureed. If you’re using frozen fruit, you might consider using a few tablespoons of water to get things moving in the blender if the lemon juice isn’t enough. Add gelatin mixture and the rest of the water to a saucepan over medium heat. You DO NOT want boiling water at any point in this process. It will damage the gelatin’s ability to set in the refrigerator. Stirring occasionally, bring your mixture to a light simmer before adding your other sugar source and fresh fruit puree. Total time on the heat shouldn’t exceed 10 minutes. Once you’ve removed your gelatin mixture from the heat, pour into a bowl, silicone molds, or cookie sheet to set. You’ll need to allow it to set in the refrigerator for at least 25 minutes, but as long as 24 hours before enjoying. Gelatin dessert is best within the first few days of making it. The longer it sits in the refrigerator, the gummier it gets. We’ve offered a standard gelatin to water ratio, but if you prefer a gummier or looser consistency, you can adjust your proportions accordingly, adding more gelatin for a gummier finish and more water for a looser finish. Enjoy!